NASA scientists are searching for an invisible "Death Star" that circles our Sun and periodically catapults potentially catastrophic comets at the Earth. The star, also known as Nemesis, is expected to exceed five times the size of Jupiter and could be to blame for the impact that wiped out the dinosaurs 65 million years ago. 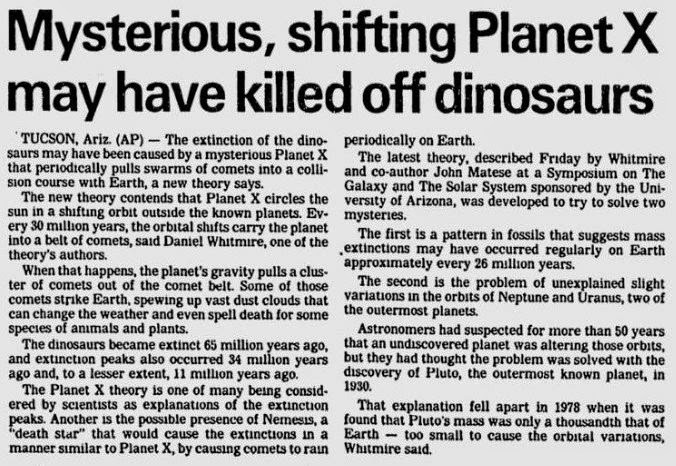 The bombardment of celestial missiles is being blamed by some scientists for mass extinctions of life that they say happen periodically on Earth. Astronomers believe Nemesis is a red or brown dwarf; a "failed star" that has not managed to generate enough energy to burn like the Sun. But it may eventually be detectable by the super heat-sensitive space telescope called WISE, the Wide-Field Infrared Survey Explorer. Launched last year, WISE began surveying the skies in January. 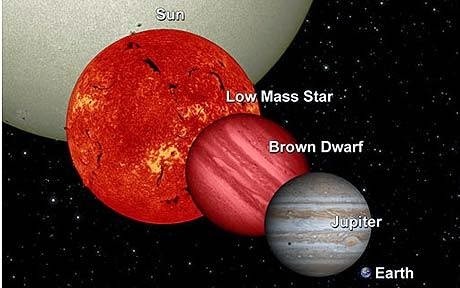 It is expected to discover a 1000 brown dwarfs within 25 light-years of the Sun, right on our cosmic doorstep, before its coolant runs out in October. The nearest normal star to us is around 4.5 light-year away. 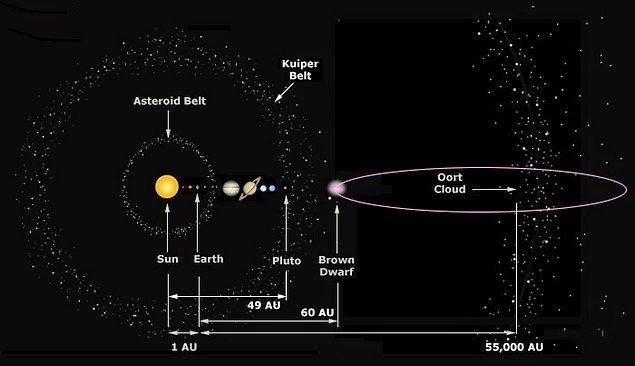 Our solar system is thought to be surrounded by a vast sphere of distant bodies, twice as far away as Nemesis, called the Oort Cloud. Some get kicked in towards the planets as comets; giant snowballs of ice, dust and rock, and the suggestion is that the Death Star's gravitational influence is to blame. The paleontologists David Raup and Jack Sepkoski discovered that, over the last 250 million years, life on Earth has been devastated on a predictable cycle. Comet impacts are suggested as a likely cause for these periodic global catastrophes. An example of such an impact was by an asteroid that wiped out the dinosaurs 65 million years ago. Most stars have one or more companion stars orbiting around each other, which would make the sun's single status unusual. A major clue to Nemesis's existence is a mysterious dwarf planet called Sedna that was spotted on an elongated 12,000-year-long orbit around the sun. "Sedna is a very odd object, it shouldn't be there! It never comes anywhere close to any of the giant planets or the sun. It's way, way out there on this incredibly eccentric orbit. 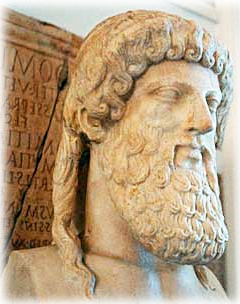 The only way to get on an eccentric orbit is to have some giant body kick you, so what is out there?" Professor John Matese, of the University of Louisiana, says most comets in the inner solar system seem to come from the same region of the Oort Cloud, launched by the pull of a companion star to the sun that scatters comets in its wake. He suggests it is up to five times the size of Jupiter or 7,000 times the size of Earth. He said: "There is statistically significant evidence that this concentration of comets could be caused by a companion to the Sun."